Anthem of the Seas offers an extensive array of dining options. However, in order to offer such an array, Anthem has to have a huge dining staff. And to make it successful, the dining staff has to be on top of their game all the time. 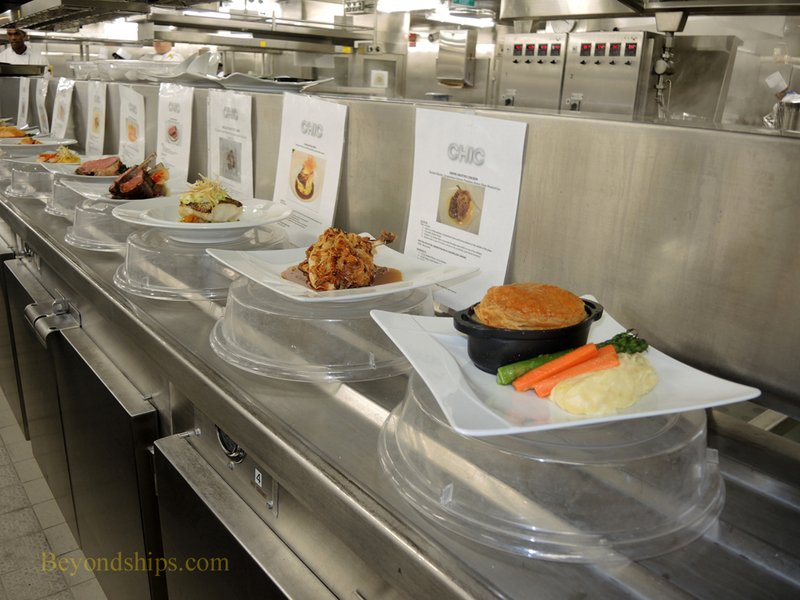 Because Anthem offers both a variation of the traditional cruise ship dining system as well as its own flexible dining system, working in the kitchens on Anthem is very demanding. Chef Thomas, who is amused by the fact that the chefs call him “The General” and “Chef Ramsey,” expects his staff to meet very high standards. As a means of quality control, each evening in each restaurant there are “tasting tables” where the chefs, under the scrutiny of Chef Thomas or a sous chef, prepare and sample each item on the menu. 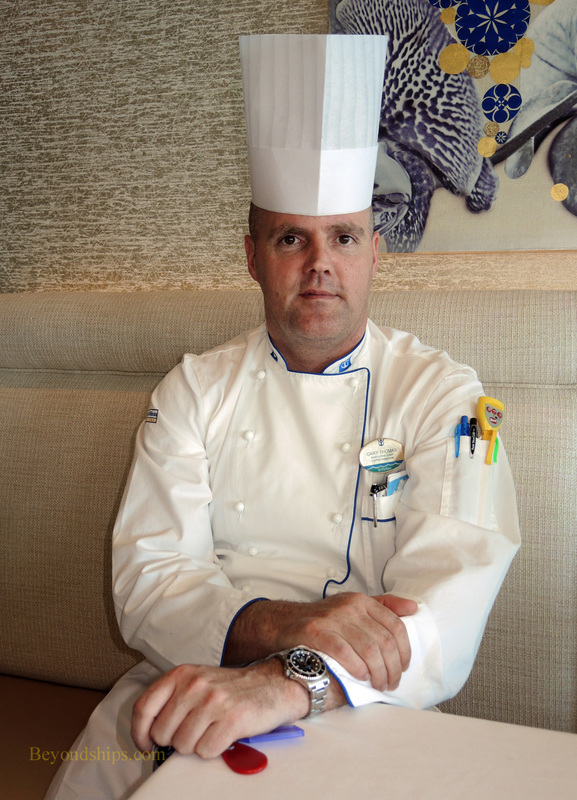 Of the 18 restaurants on Anthem, Chef Thomas clearly takes the most pride in the Wonderland specialty restaurant. With its décor straight out of Lewis Carroll; Wonderland is not a traditional dining venue but rather a dining experience. Above: Each dish on the menu in Chic is displayed for a chef's tasting table.